Faithfully Sourced Afghan Rugs - West End Co.
Afghan rugs are those produced in either the various regions of Afghanistan, or by the Afghans in Iran and Pakistan. Octagonal designs with vivid red and dark blue colourations originate from North Afghanistan, and are the most common style of Afghan rugs. Afghan rugs also include the prayer rugs made by the nomadic Baluch people. These small, portable rugs are known for their vibrant patterns of red, blue and brown. Our Afghan rugs are always knotted with pure wool. West End Co. sources its Afghan rugs from renowned regions with their own distinctive styles. Many Afghan rugs feature culturally significant designs; we believe in treating these marvellous works with the respect that they deserve. 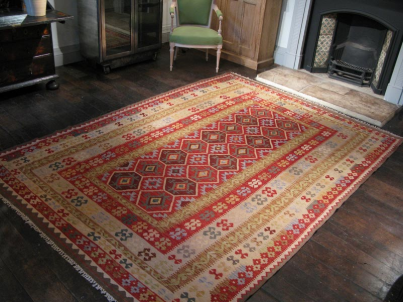 You can view our range of Afghan rugs here, in our online rugs store, or from our Brisbane rugs showroom.